OSCommerce is one of the oldest eCommerce solutions on the market and has a history of over 16 years. With OSCommerce, you can choose a complete package, meaning hosting and also an online store. OSCommerce also helps users with many add-ons dedicated to improving store functionality and with fantastic support within the OSCommerce user community. With OSCommerce, you can quickly create the online store you dream about. All you have to do is choose a template that meets your aesthetic and functional requirements, and then start customizing it by arranging different elements, sections, galleries, and work both on the design side and on the functional side. With minimal changes to some pictures and details about the products, you can rapidly create the perfect-looking online store and start your activity. OSCommerce themes are very flexible and you can customize them as you please as long as you have MySQL and PHP installed. Besides that, the benefits of using OSCommerce are that you can have total control of your online store and you can easily customize it on your own. To exemplify some of the things we said, below you can find a list of the 10 best OSCommerce templates on the market that we recommend using. We consider these templates to be the most interesting OSCommerce templates which you can successfully use for your online store. Just to enumerate some of the features, all of the templates are fully responsive, highly customizable and very easy to install and use, are SEO ready and all have an appealing design, suited for any online store. Banda is an OSCommerce template, with a classy and elegant design that has some modern and appealing interactive elements. It comes with the Nivo slider, a user-friendly admin panel, the theme is easy to install and customize and it has many other cool and helpful features. The layouts and sections are well structured and allow the user to easily navigate and comprehend the store offers. Unishop has a modern, neat and well-organized design with only some few blue colored elements which are meant to attract the visitor’s attention. The theme is fully responsive and looks great on any mobile device, it comes in 2 different options, social media integration, scroll to top button, is SEO ready, it has a cool hover effect for the products, it’s fast and easy to setup and also easy to customize. Osmart is another OSCommerce theme with a modern look and a neat design. This theme comes with custom bestseller and brands blocks, hoover and carousel effects, the install process is fast and you can easily customize the theme. This theme is perfect for any retail, shopping and e-commerce websites. Some other features include 8 different color options, store/category and product sections, social media integration, and a fully responsive design. 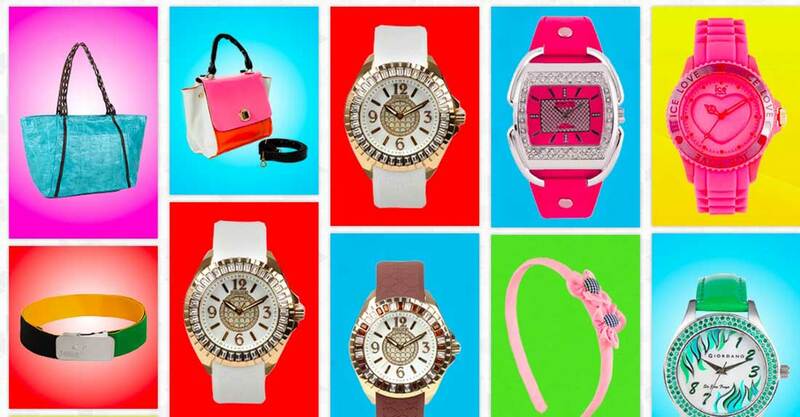 Dresscode is dedicated to clothes online shops and it comes with a modern, classy and elegant design. The theme is fully responsive and looks great on any device, it’s easy to install and customize, it comes in many color variations, it has a fully customizable slideshow, a change image on hove plugin, and many other helpful features that will allow you to create an attractive store. 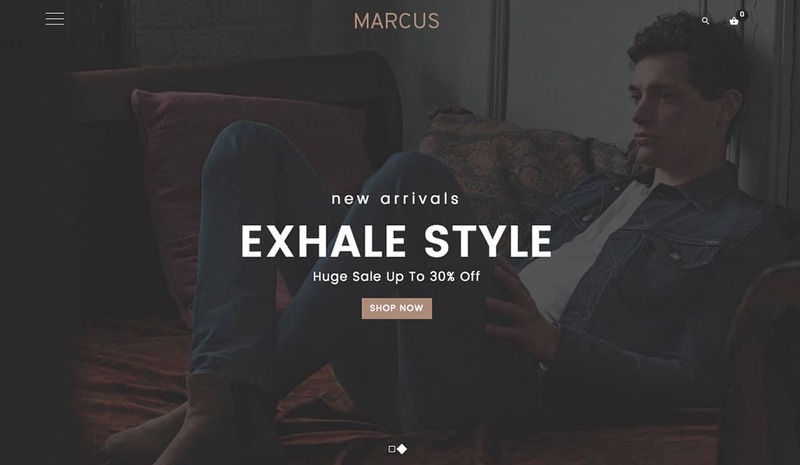 Marcus is another OSCommerce theme and it comes with a highly sophisticated and minimalistic design. The design was created especially for clothing online shops and websites and has many great and helpful features that will make your life easier. This theme has a very easy install process, it includes more than 6 homepages, different header styles and options for the footer so that you can create the most appealing online shop. Other features include an easy to use admin panel, a fully responsive design that looks astonishing on any mobile device, multi-language support, a newsletter popup, a changeable layout with different types of columns, many options for showcasing products, a drag and drop sorter, and much more. OsCart is another responsive OSCommerce theme with a design that was inspired by the Pinterest layout. It’s fully responsive and it comes in 8 different color options and has 20 module positions and variations. The install process is very easy and the theme is highly customizable. Other features include social media integration, interactive and modern design, high functionality and many other helpful options. 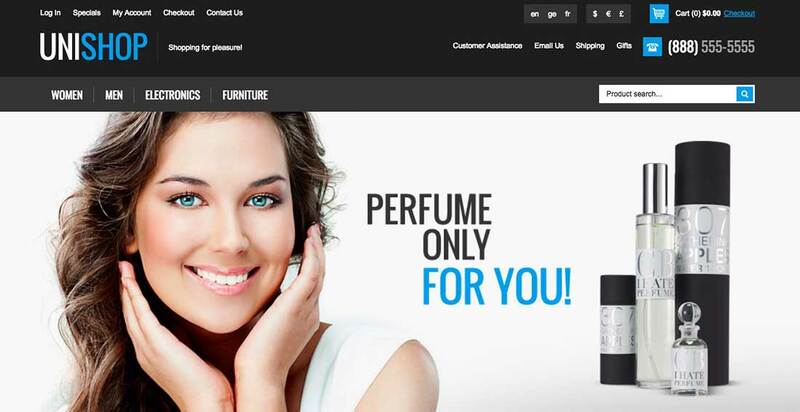 Mega Store is another OSCommerce template and it comes with a cool and modern design. It was created especially for online stores, it has a menu that is simple to follow, a clear structure, large image gallery slider, and other helpful options and features. Other features include an easy to install process, user-friendly admin panel, great section and layout options, and the design is 100% responsive on any device. 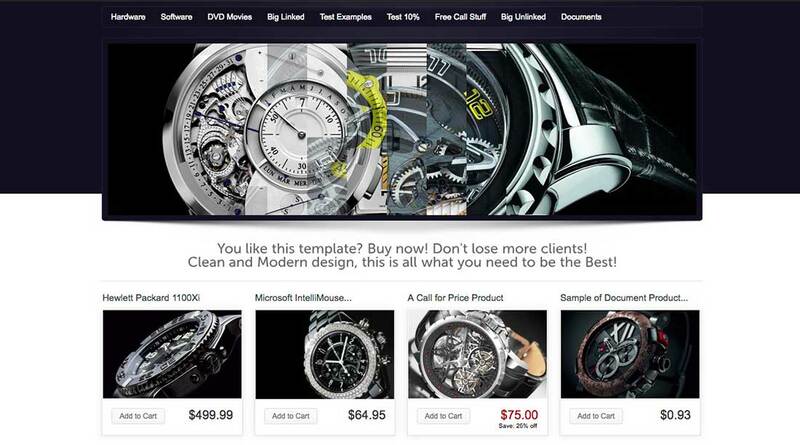 Magnus is another OSCommerce theme and it comes with a modern, and fashionable design. This theme can be used for any type of e-commerce store, the design is fully responsive and looks perfect on any mobile device. It comes with various color options, a user-friendly admin panel, it’s easy to install, it has products and brands sliders, and it’s easy to customize. Magnus represents a perfect choice if you need to start your e-commerce business and need a reliable theme. 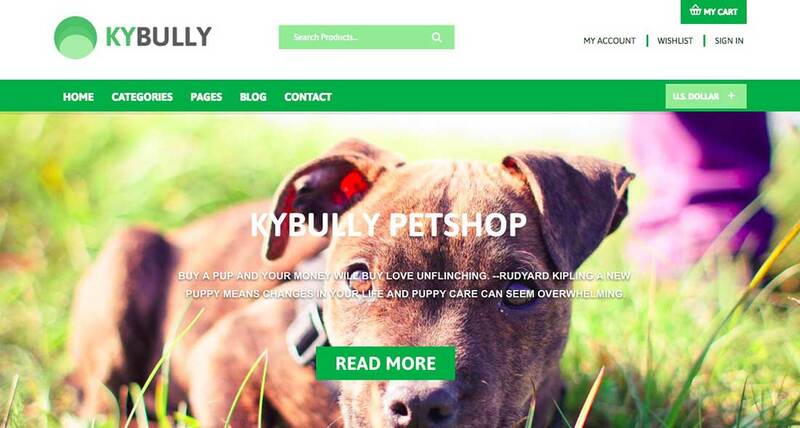 Kybully is perfect if, besides the online store section, you need to create and manage also a blog. It comes with a blog page, a modern and clean design, and it can be used on various types of e-commerce sites. It has many helpful features, a high-quality design and a clean code which provides a perfect balance between aesthetics and functionality. Kybully can be easily customized, is 100% responsive on any device, it has many color options and offers the possibility to use high-quality images. 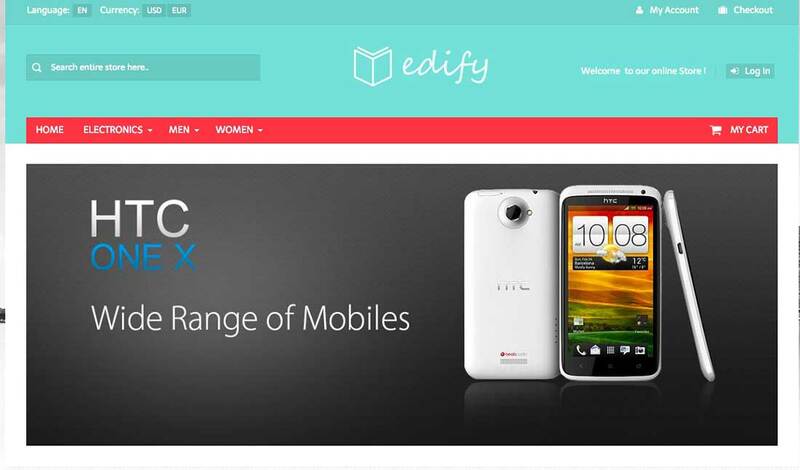 Edify is another modern, fashionable and completely responsive OSCommerce theme and it’s a perfect choice for any e-commerce website. It’s easy to install and use, has many customization tools, the Nivo slider, products and brands slider, a user-friendly admin panel, a responsive grid system, different color variations and many other great features.